Senators plan to vote on a Democratic resolution that would maintain sanctions on companies linked to Russian oligarch Oleg Deripaska. 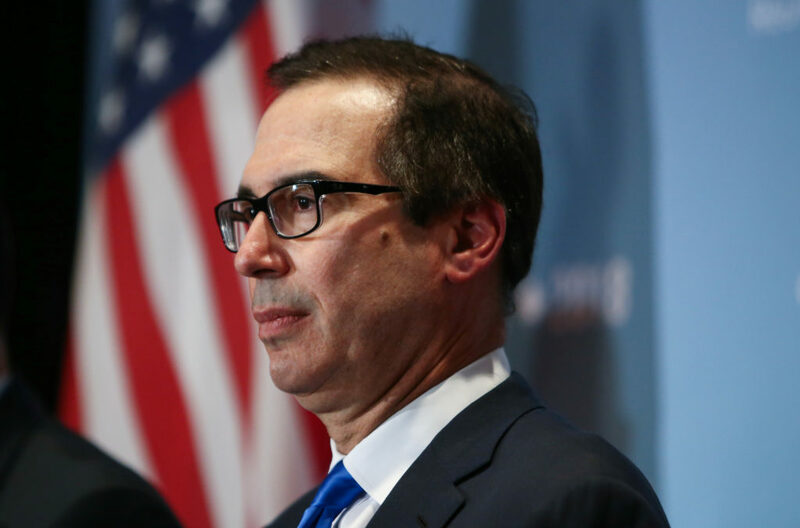 Mnuchin has pulled out of the conference in Saudi Arabia following the disappearance of journalist Jamal Khashoggi. President Donald Trump on Monday hailed his administration's temporary truce with China on trade, even as his Treasury secretary and China struck a note of caution on the latest agreement. U.S. Treasury Secretary Steven Mnuchin endorsed the weakening of the dollar as “good” for the United States this week, breaking with long-standing tradition. Lawmakers face a daunting workload and fast-approaching deadlines, including the need to fund the government and increase the United States' $19.9 trillion debt ceiling by month's end.